When it comes to proposing to your beloved in Europe, Prague is probably the best place to do it. Your most obvious idea would be Paris, but come on, this is so cliche she’s gonna figure it out as soon as she sees your plane tickets. 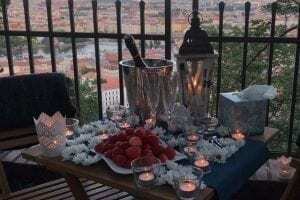 An engagement in Prague can be as beautiful and romantic, as a proposal in Paris, Berlin or London. The only difference is the background, which in the case of Prague is unmatchable! 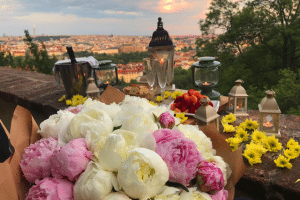 For the past couple of years I have prepared over a thousand romantic events in Prague. About 80% of those were marriage proposals. And I think every single one of those couples can tell you their engagement in Prague was not only unforgettable. It made the guys look like heroes, and their women – the happiest ones on the planet. Well… and about a ton of women jealous, because when somebody gets a proposal like that, stories about it will never end. If you consider an engagement in Prague, I guarantee you an extraordinary event she will never forget. I can turn a simple, casual walk in the park into the most romantic and unbelievable surprise she will be talking about endlessly. She is going to share every little detail with all of her girlfriends, turning you into a hero, and making their boyfriends and husbands look miserable. Prague for Two is all about making it a surprise and taking care about every little detail. I also put customer service on top of my list, and if you visit my TripAdvisor page and read some of the reviews you’ll see that I’m not just saying that. I make your request my top priority. I respond in minutes. 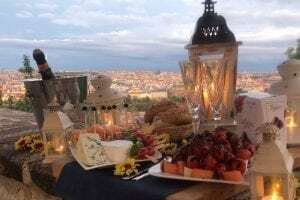 I do everything in my power to make your engagement in Prague the easiest thing you will ever have to plan. Just worry about getting her to the location on time.